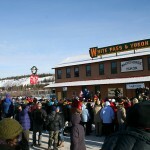 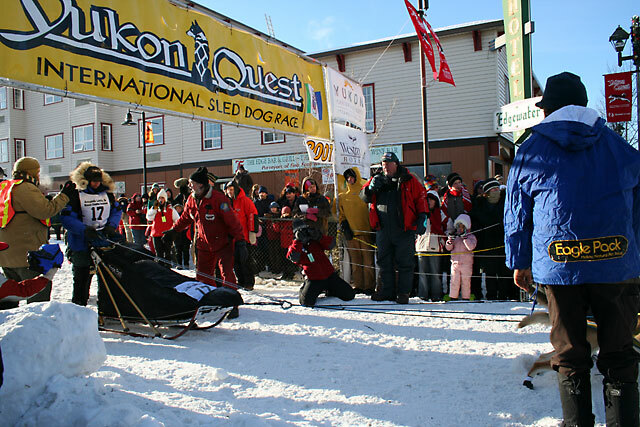 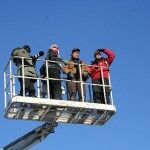 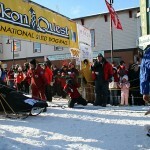 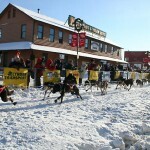 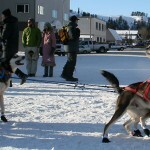 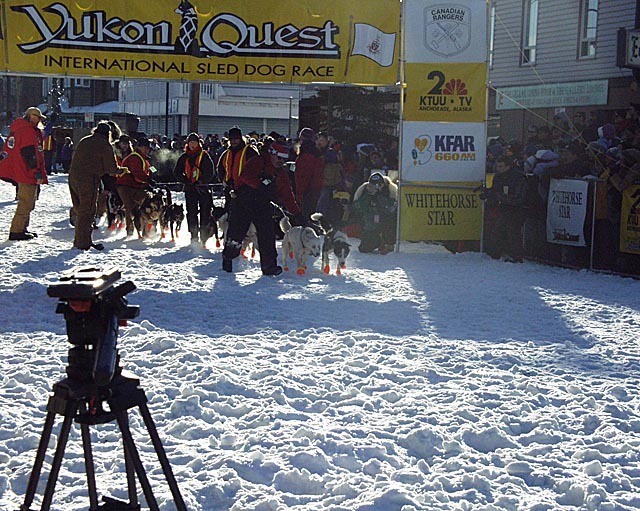 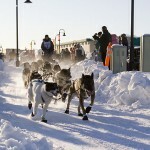 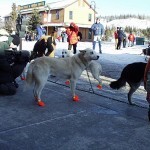 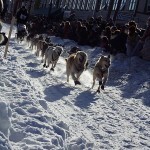 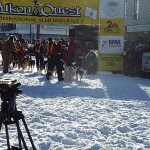 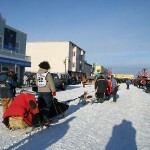 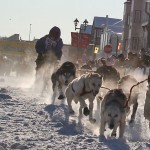 The Yukon Quest has earned an international reputation as the toughest sled dog race in the world, even tougher than the better-known Iditarod. 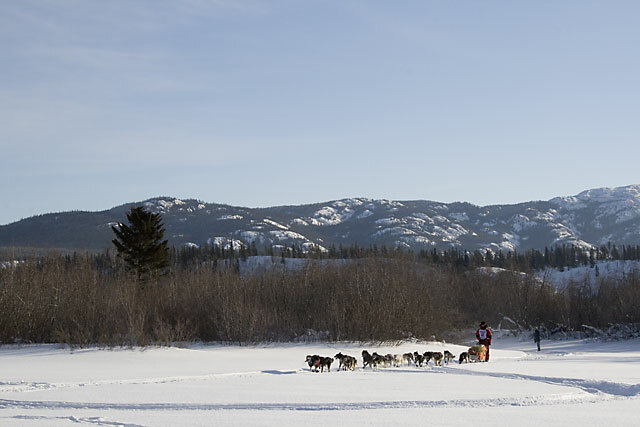 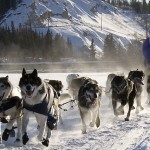 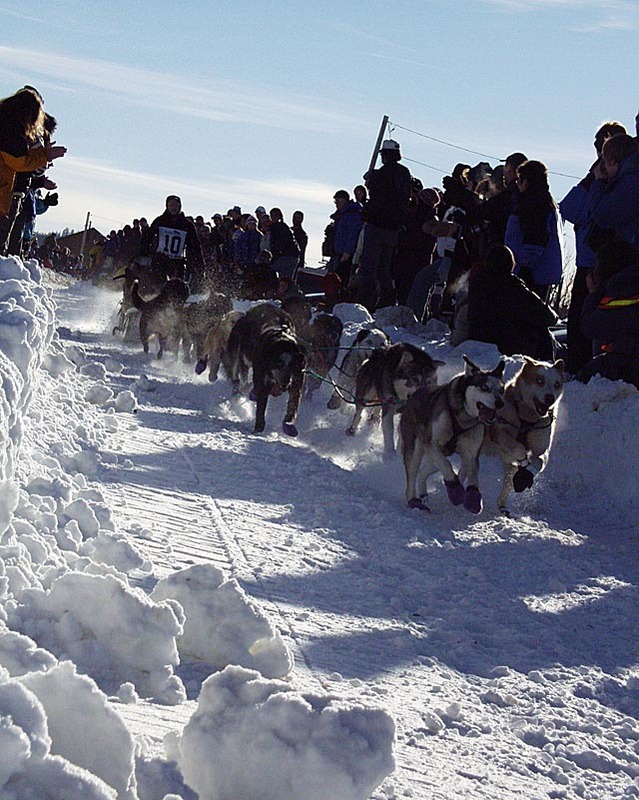 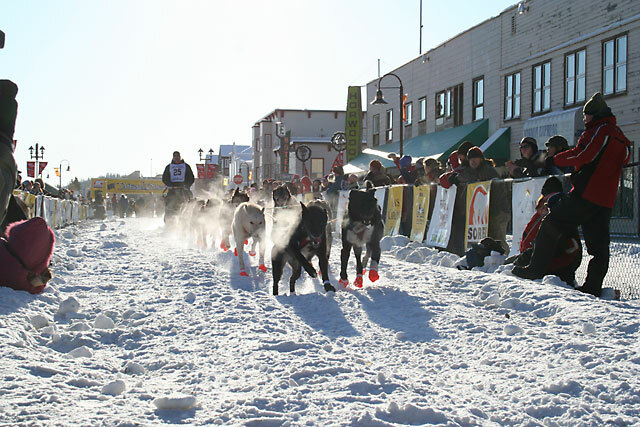 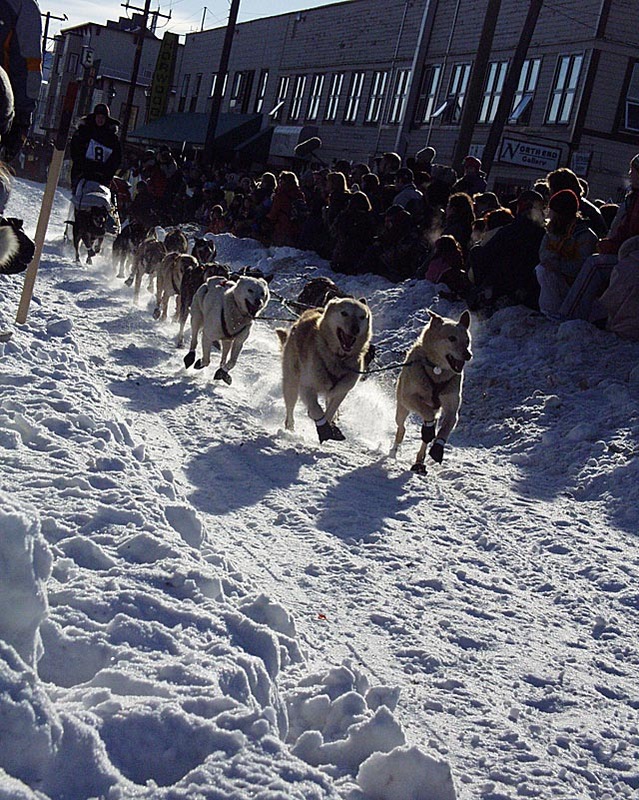 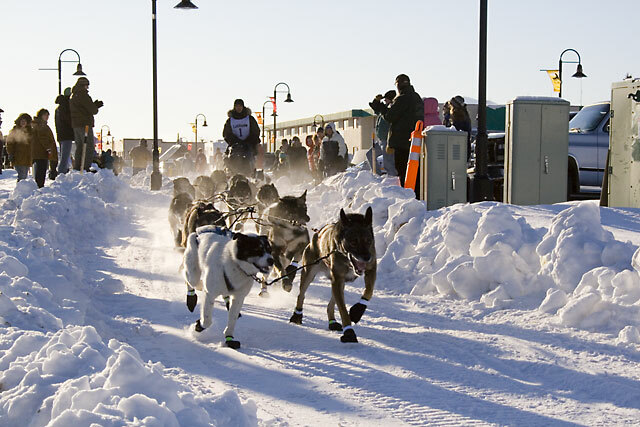 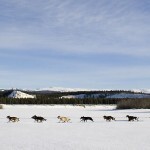 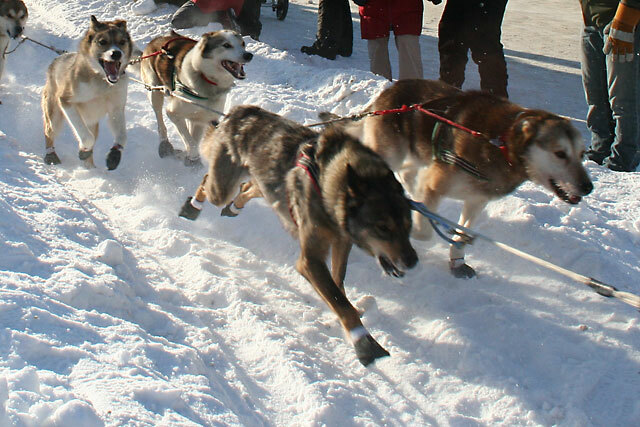 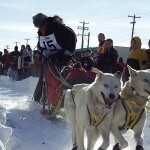 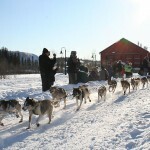 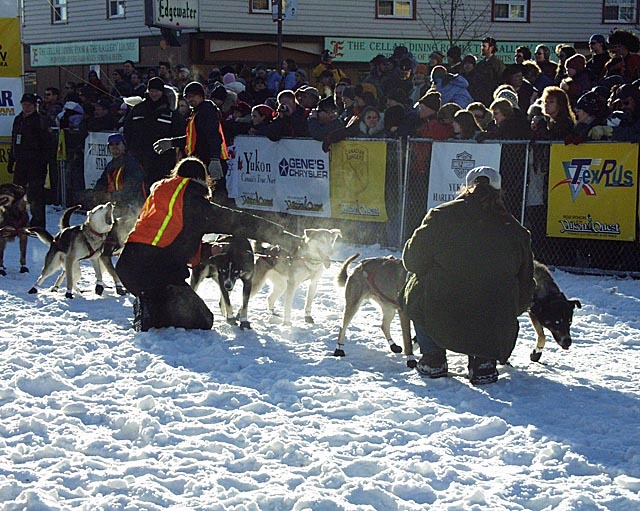 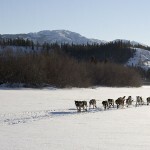 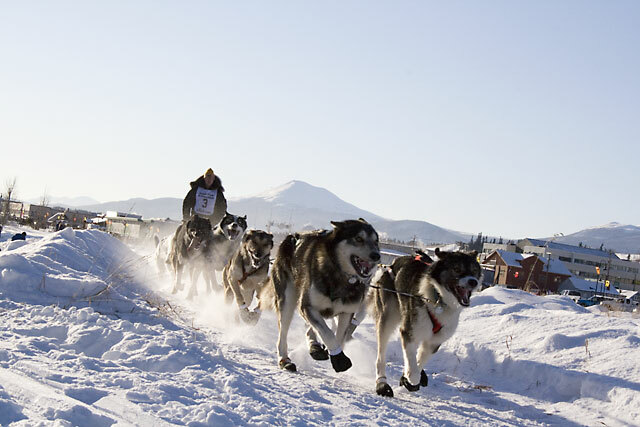 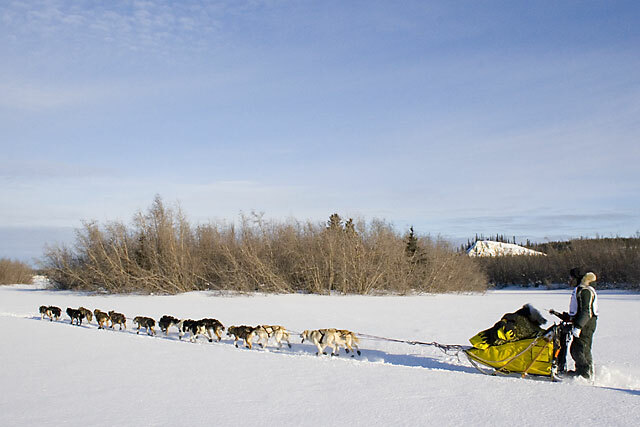 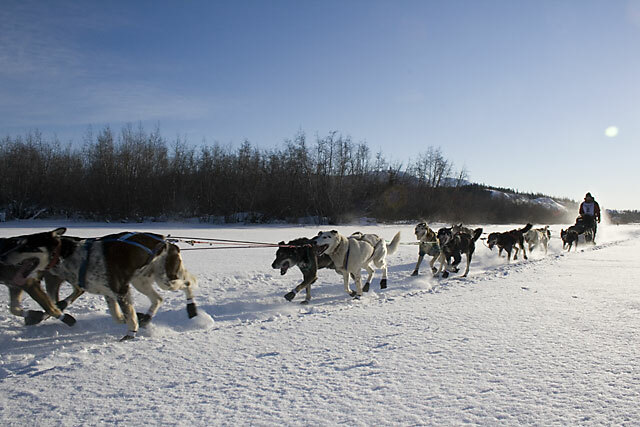 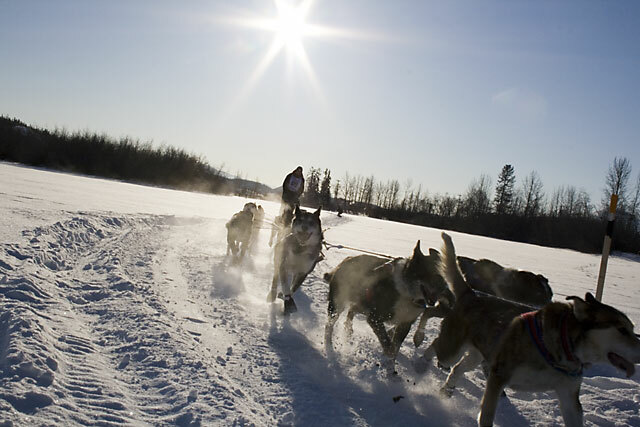 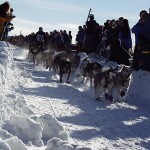 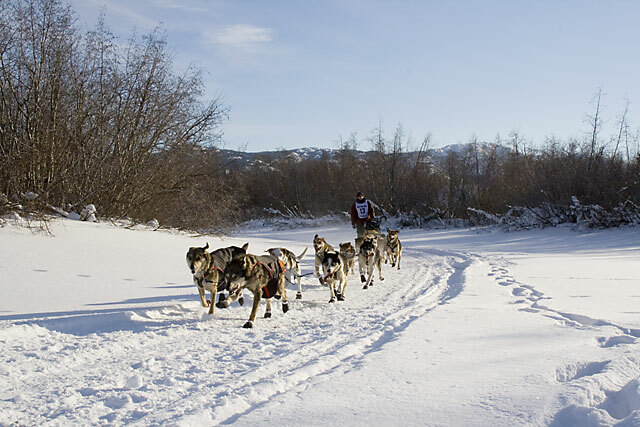 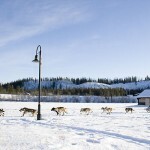 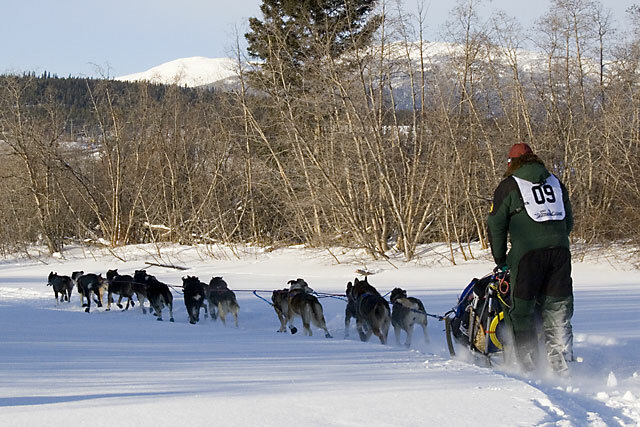 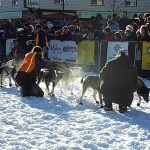 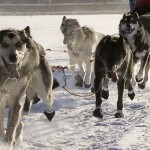 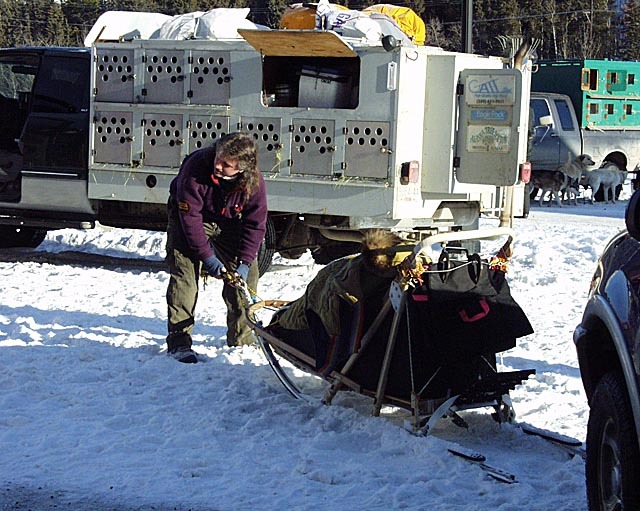 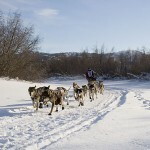 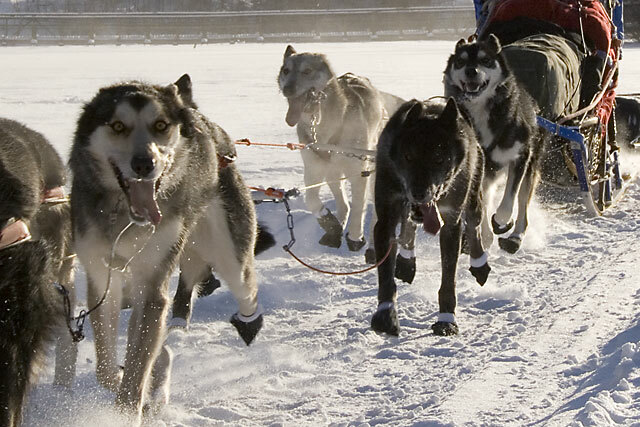 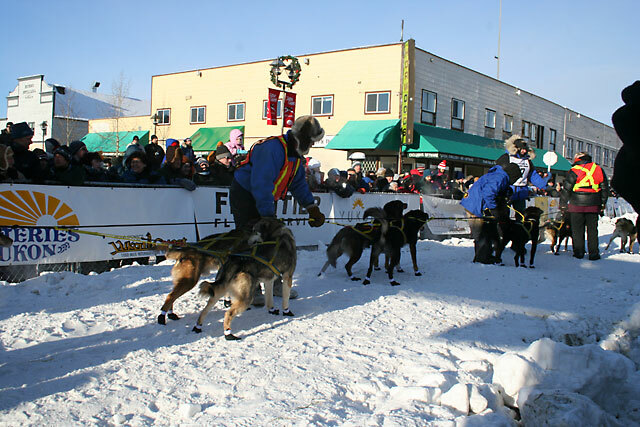 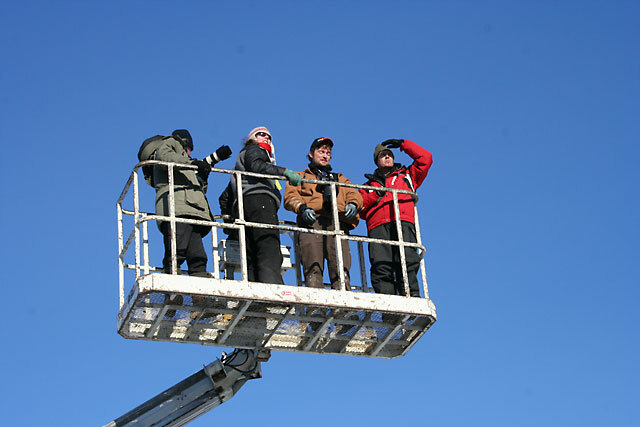 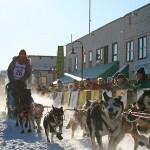 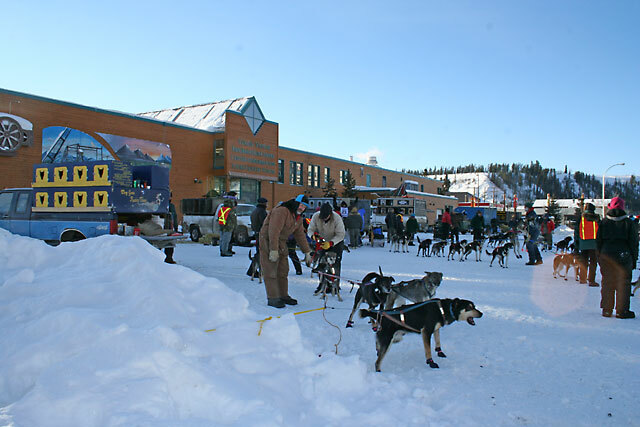 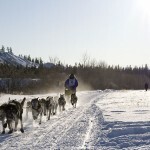 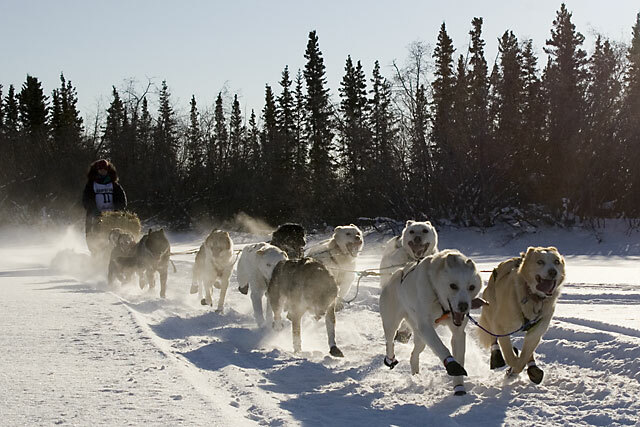 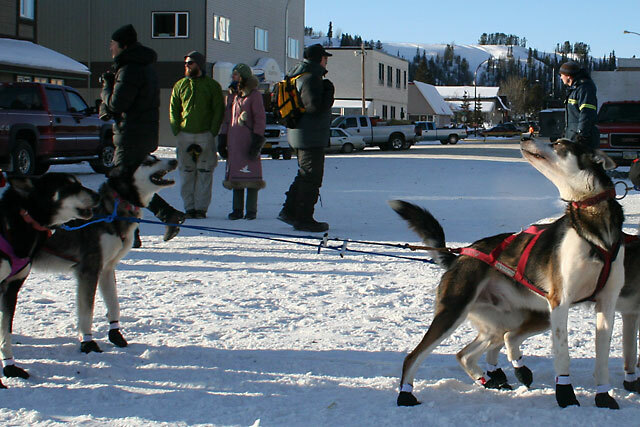 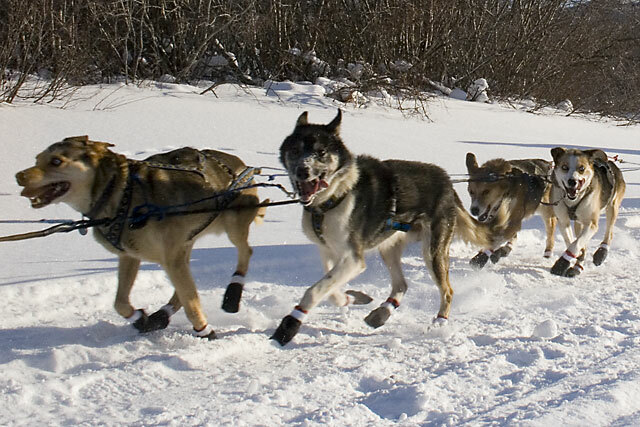 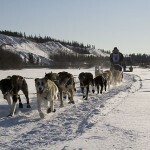 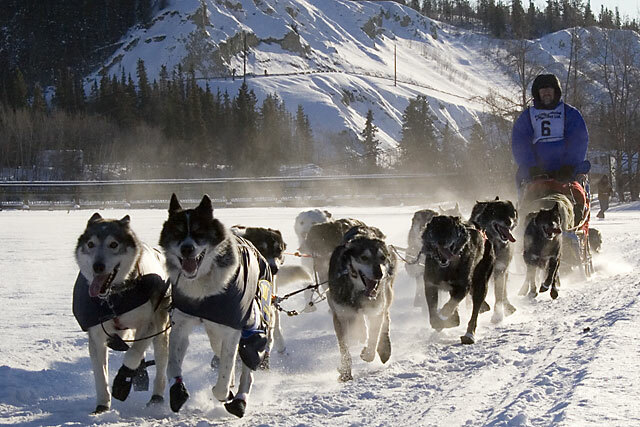 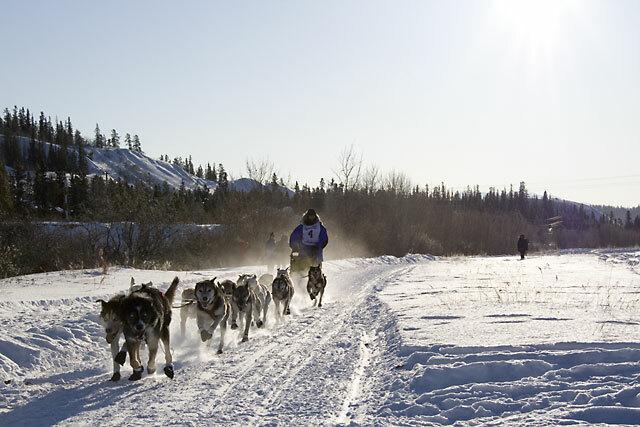 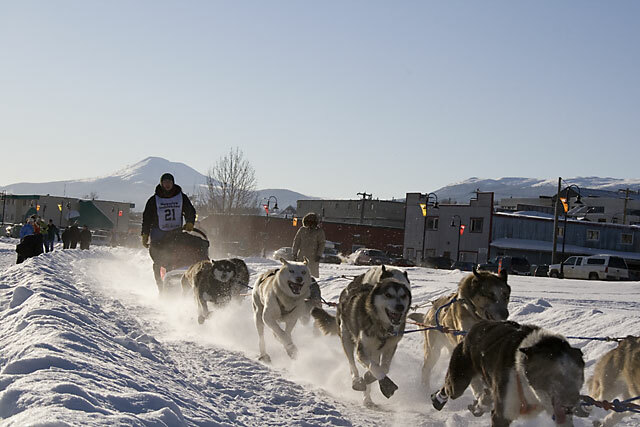 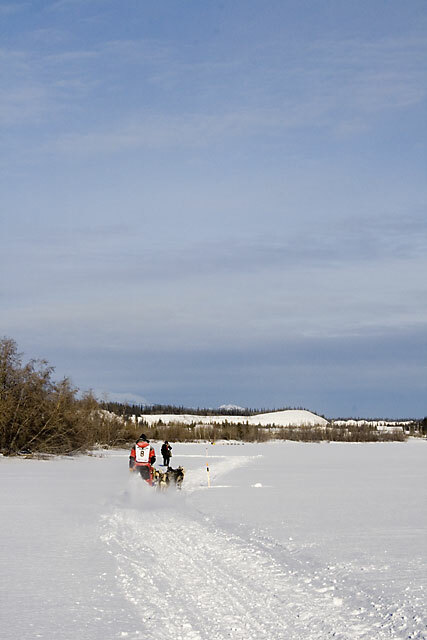 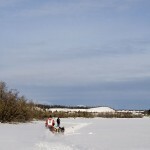 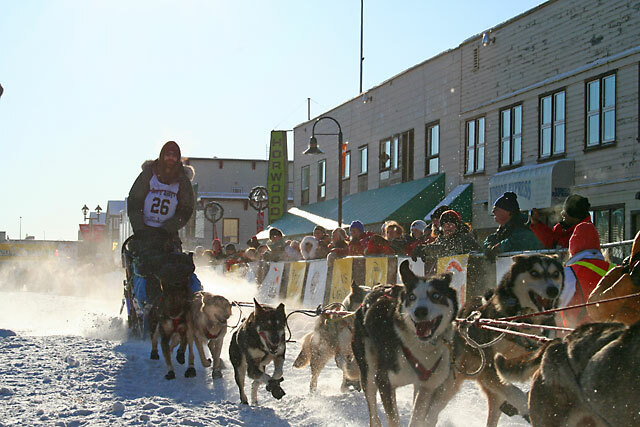 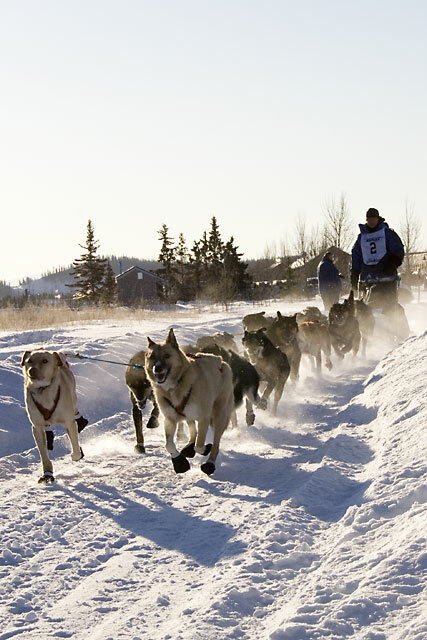 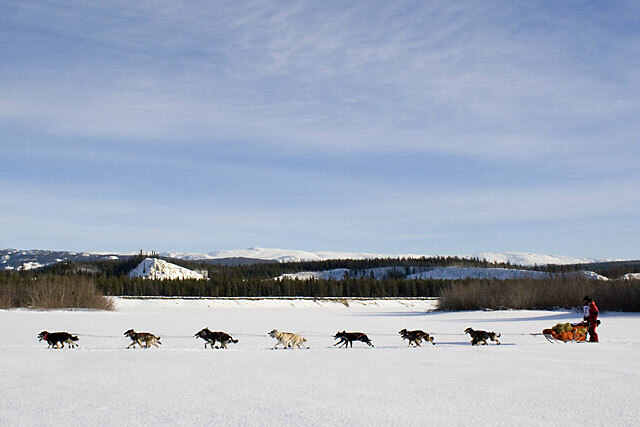 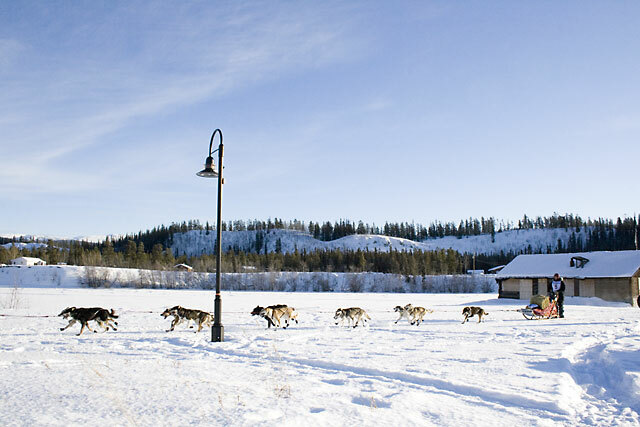 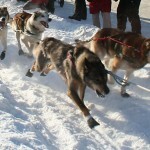 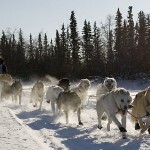 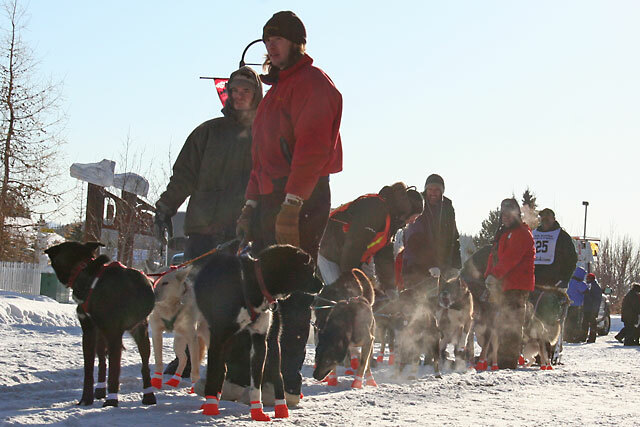 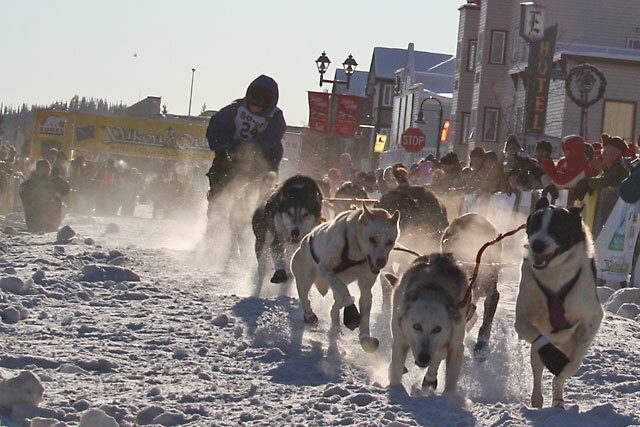 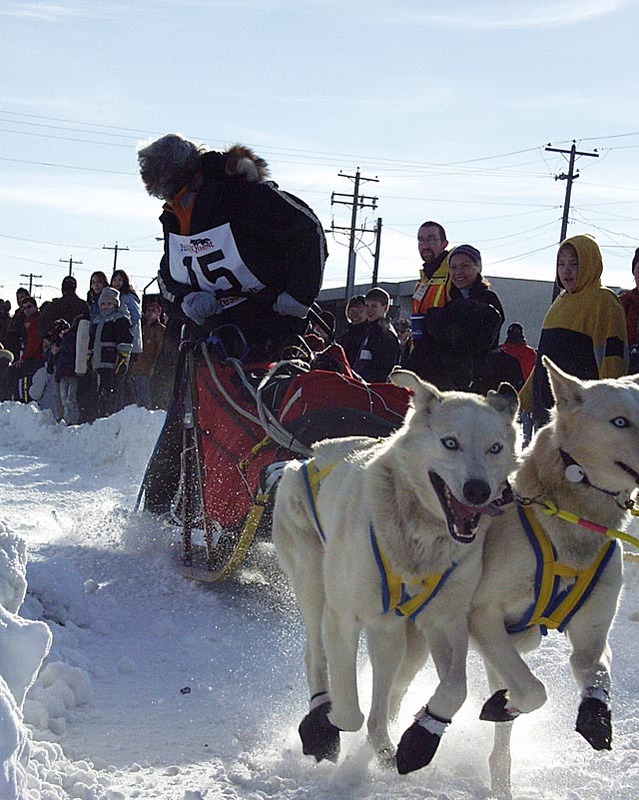 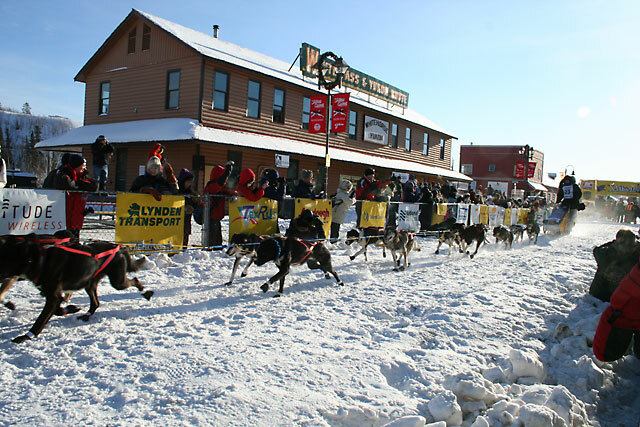 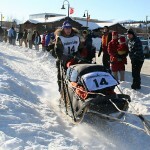 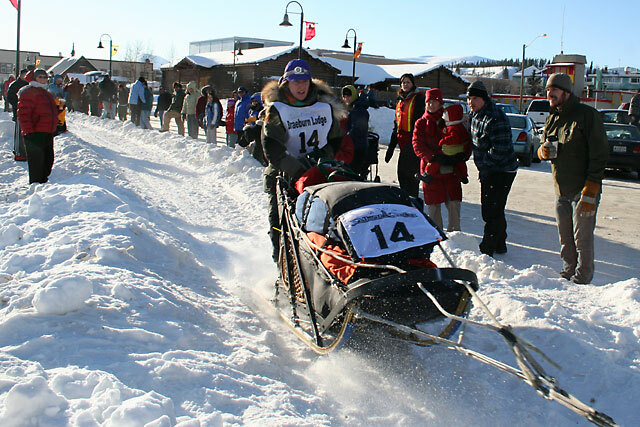 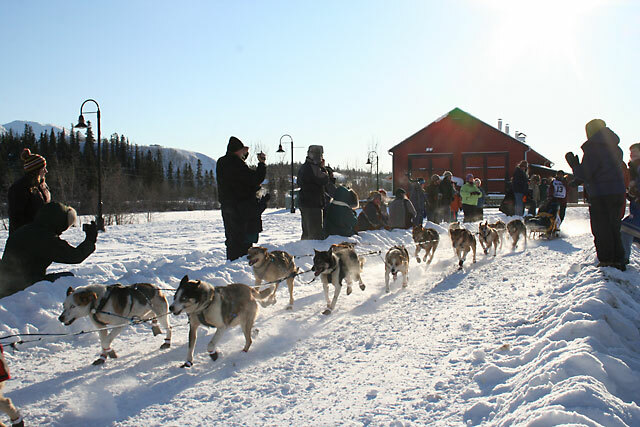 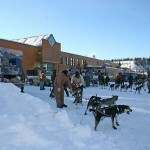 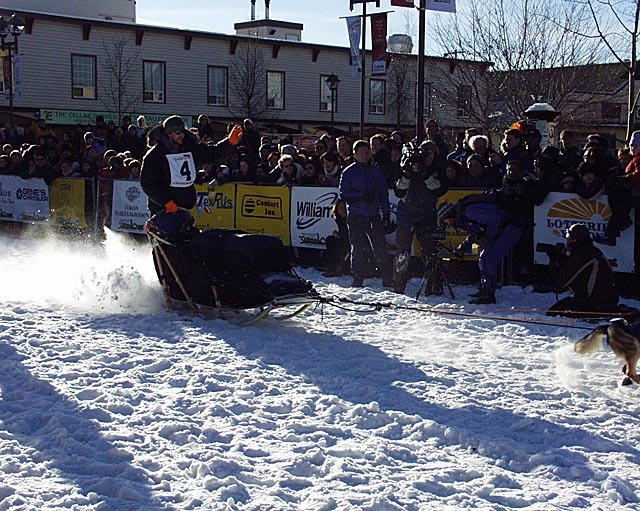 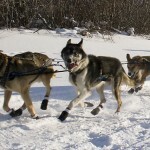 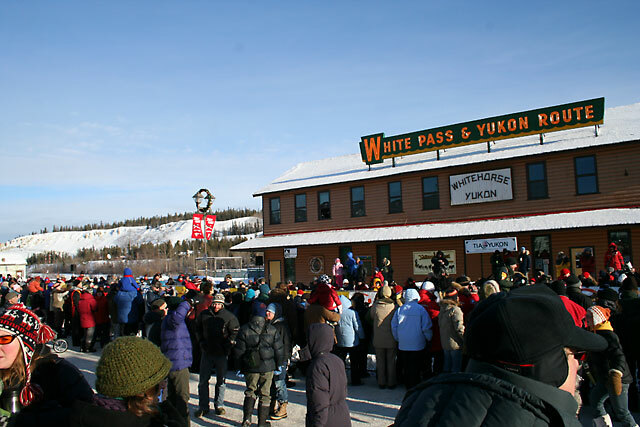 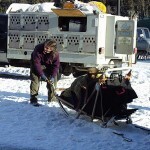 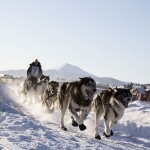 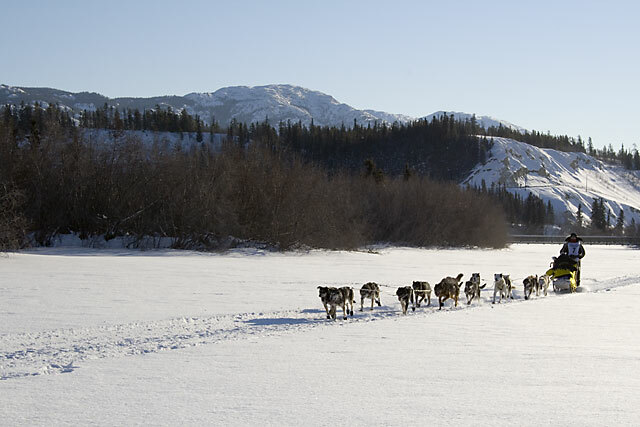 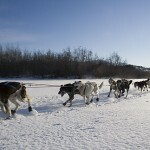 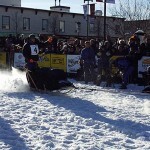 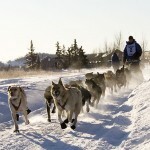 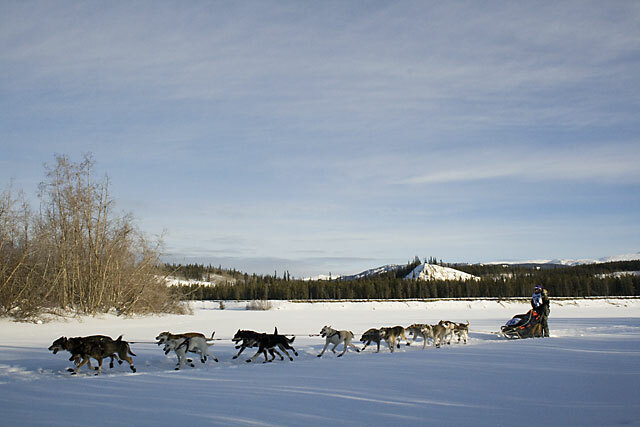 Each February, mushers and their dog teams travel more than 1,600 kilometres (1,000 mi.) 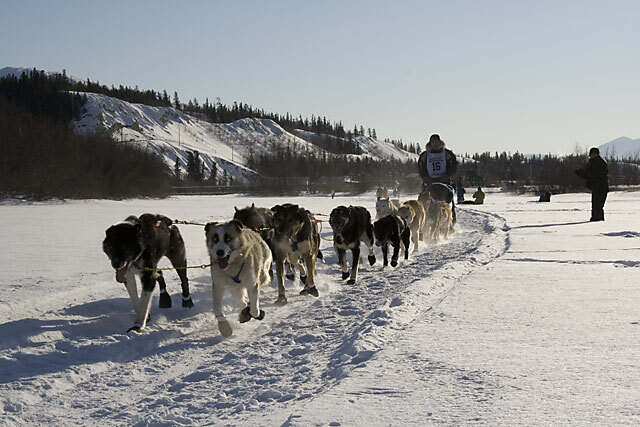 through wilderness, over mountain ranges and across frozen rivers and lakes between Whitehorse, Yukon, and Fairbanks, Alaska. 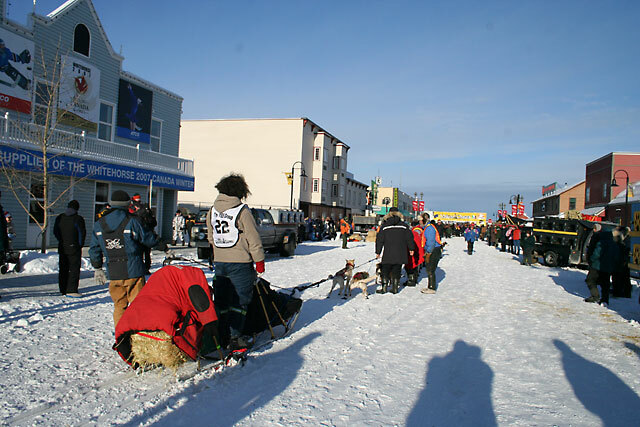 The start and finish lines alternate between the two cities each year. 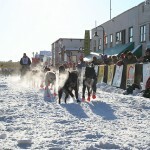 This international event attracts about 30 dog teams from around the world, competing for about $125,000 US in prize money.